Next time you step in a girl's night, you will not need a corkscrew to open a wine bottle if you have these nails. In the era of wildest wild nails, Corkscrew nails are making a statement. It makes some cringe while others awed with its glittering look, no matter what you think, everybody is talking about it. If you are getting bored of your oh so normal nails, it is time to take a step ahead and get this wild-wild fabulous nail art! Kira Sky Nail Products created the coil design through a very intricate process. First, the artist paints the nail with acrylic, shaping it into a slight point. Then, a small piece of plastic straw is positioned underneath the tip of the nail and left to dry. After that, the artist uses glitter acrylic to build a spiral around the straw, using a small brush for precision. Once the shape is created, he or she paints it with clear polish for protection. After everything dries, the straw is removed using tweezers, and the shape is cleaned up with an electric file. BOOM! You have a corkscrew mani. The artist finished this specific look with pale blue lacquer and small rhinestones, but those are just extras to an already extra look. 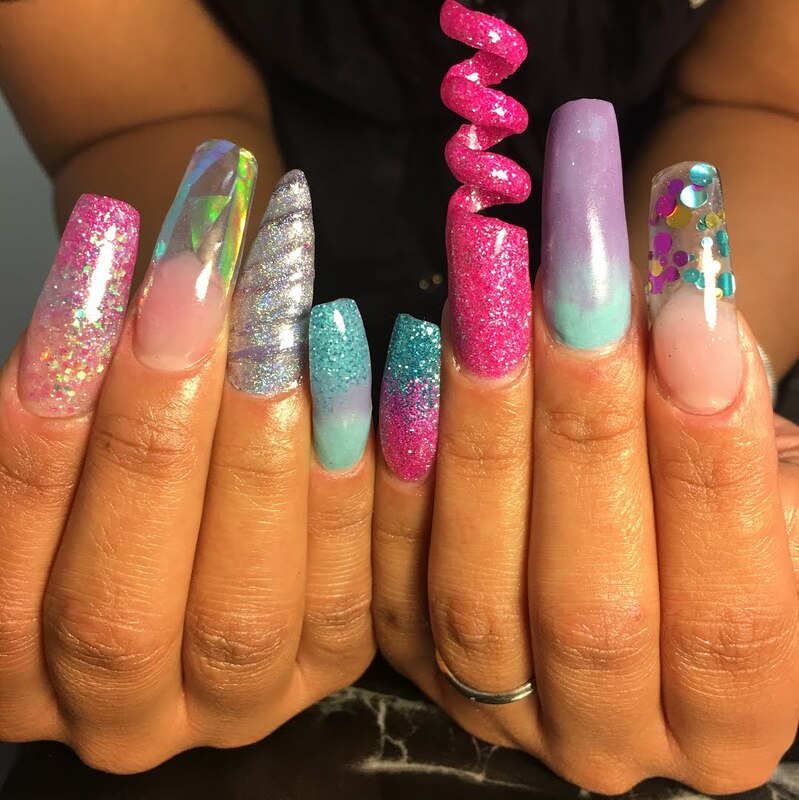 Corkscrew nail art is done in a spiral form completely off the nail tip so you can say goodbye to texting or doing your everyday chores while you have these. A little impractical, these nails are really making rounds among nail art lovers. They are very attractive, stylish and unique. If you were head over heels about last year's unicorn nails, these are surely going to intrigue you. Here is a unicorn corkscrew nail art tutorial that you might want to try! Tell me what you think about these in the comments below! !